Monkey Falls are natural waterfalls located near the uphill ghat road Valparai on the Pollachi-Valparai road in the Anaimalai Hills range, in Coimbatore district. Monkey Falls is about 30 km from Pollachi. Refreshing Natural Water Falls about 6 km from Azhiyar Dam. 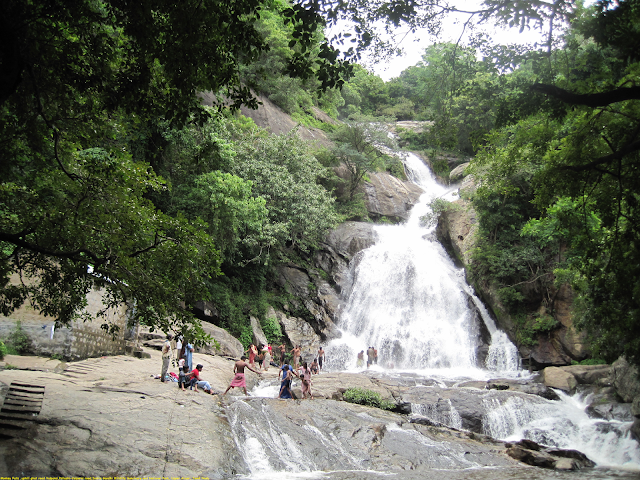 Monkey Falls is located on road connecting Pollachi and Valparai. An interesting trek route at the Monkey Falls; a linear stretch of evergreen forests surrounded by rocky cliffs, is available and regular guided treks are conducted during favourable season. Prior request should be given to the Tamil Nadu Forest Department headquarters at Pollachi before a fortnight.